Crystalcraft's many years experience in the International UK glass market make us the perfect choice for all your glassware needs. 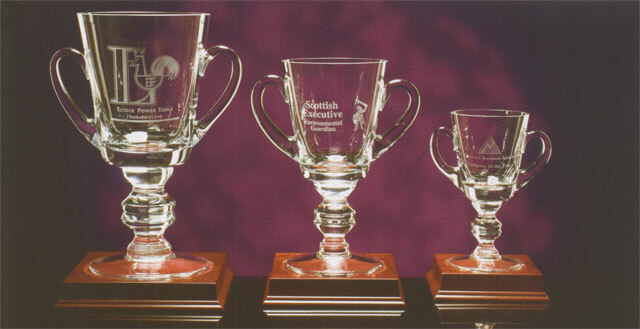 Craftsmen at Crystalcraft have a close working relationship with many glassware manufacturers including the UK’s top five companies from a trade customer base of some 60 manufacturers, we have even worked as engraving consultants to the largest manufacturer of glassware in Latvia. We specialise in large and small quantities for the corporate and sporting markets and have designed and produced many successful retail ranges for the gift markets. Lately, the company has been able to offer an online buying facility to retail clients. This has meant that the end user can get best quality products (personalised to individual requirements) at factory gate prices! Please take a look at our online catalogue and pick the item that suits your needs. If you cannot find exactly what you are looking for feel free to give us a call – you will be most welcome!